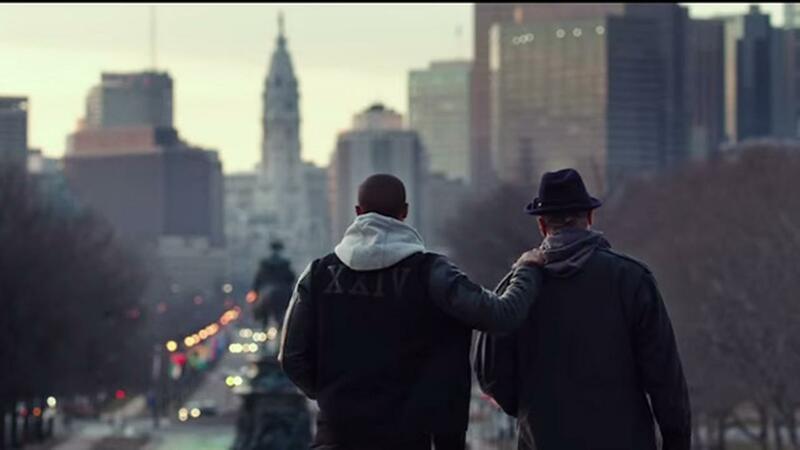 One of the most powerful moments in Ryan Coogler’s Creed finds Rocky Balboa (Sylvester Stallone) alone at the graves of Adrian, his wife, and Paulie, his best friend. “It’s a good day today,” he says to the headstones with a sigh. “Got no problems. The bills are paid.” He sets down a rose for his wife and some liquor for his friend. He reads them the paper. He tells them about the various aches and pains sneaking up on him. He keeps up his routine. He’s lonely, though, maybe lonelier than he’s ever been: “Everything I got is moved on, and I’m here,” he’ll later tell Adonis Creed (Michael B. Jordan). As the Italian Stallion has discovered, the problem with getting everything you’ve ever wanted is that nothing lasts forever. Moments fade into memories, and then those fade, as well. Without purpose, without direction, hopelessness has a way of setting in: “If I break, if I’m hurt, I’m not going to fix it. Why bother?” Now age 70, Balboa’s trademark grit has given way to an existential funk, leaving him withdrawn and more than a little regretful. Though most of us go to the Rocky series for its bombastic action and uplifting messages about flying high and eyeing tigers, the truth is that it’s always had that tinge of nostalgia and regret. Long before he was a heavyweight champion, Rocky Balboa was forgoing the life of a serious boxer and wandering the streets of Philadelphia, picking the pockets of working stiffs no better off than himself. “It’s a living,” he responds when Mickey laments his wasted potential. “It’s a waste of life!” the old man spits back. The story of Rocky is the story of our precious time and what we make of it. Sometimes we miss out and fall short, sure, but that’s what makes the character so relatable. No matter our age, we’ve all looked back and wondered “What if?” No matter our successes, we’ve all fought for a second chance. 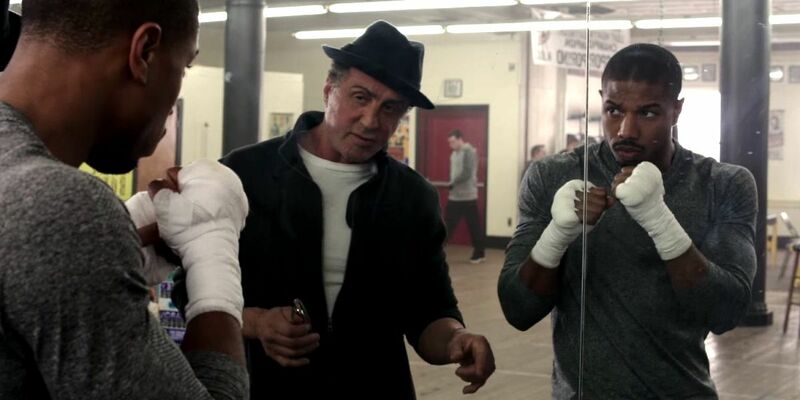 That Rocky gets one (and another one, and one after that…) is what make his stories so inspirational. We get to vicariously experience the sweet victories that life so rarely affords us. But again, nothing lasts forever. 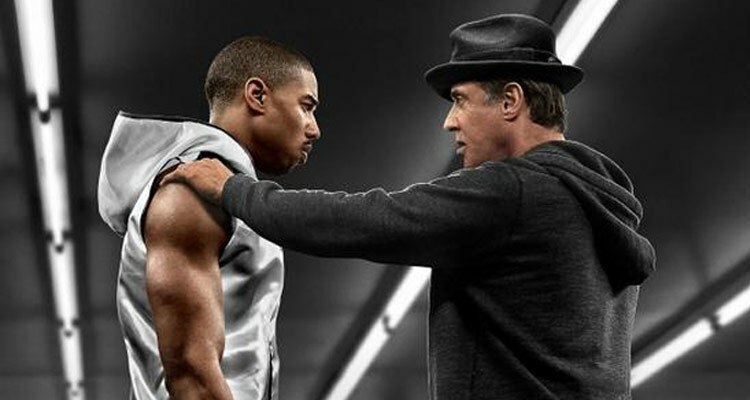 Which brings us to Creed: Adonis presents Rocky with an opportunity to train an up and-coming young fighter (to get busy living, some would say), an opportunity made all the more solemn and necessary because that fighter is the son of the man he failed to save (though, it has to be said, he did gloriously avenge for America and for the world). That short scene at Adrian’s is so brilliant because it gives a more precise meaning and context to Rocky’s “You are your toughest opponent” adage. 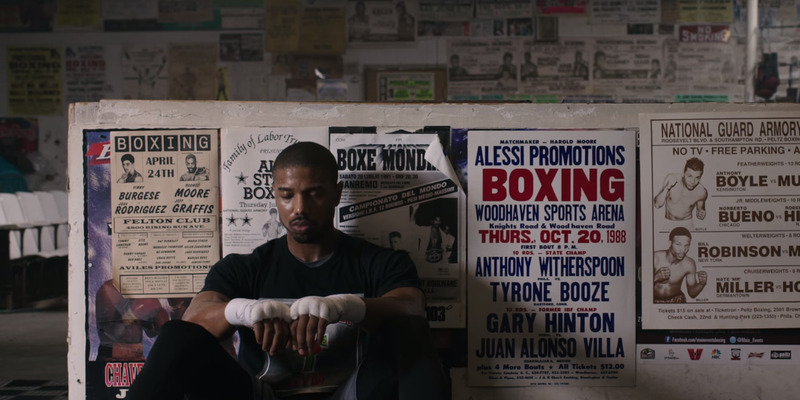 When the two men stare each other down in front of the framed photographs of Rocky and Apollo’s glory days, it becomes clear that what they’re really fighting is time; both men are looking for a chance to prove that what’s behind them does not define them, that they’re more than prisoners of the past. Adonis wants to make peace with the memory of a father he never got to meet by using the gifts he left behind to forge a new identity. At the same time, getting back in the game will grant Balboa a purpose he’ll desperately need once he realizes he’s facing cancer. And look — the longer the Rocky series went on, the more likely it became that we were going to deal with his mortality. “This fight is just like any other fight,” after all, and a sufficiently-motivated Rocky would have no trouble beating cancer into a pulp. But because Creed is a goddamn masterpiece, each of its other major characters is fighting their own battles with time: Singer-songwriter Bianca (Tessa Thompson) knows that her gradual hearing loss will soon rob her of the ability to write and perform the music she loves. She’s making the most of her remaining time (opening at Philly’s famous Electric Factory is pretty damn sweet), and her hesitance to commit to Adonis stems from his inability to prove he’s a worthy distraction from that goal. Along the same lines, light heavyweight champion “Pretty” Ricky Conlan (Tony Bellew) — recently convicted on a weapons charge and looking at the end of his professional career — desperately needs a profitable fight in order to keep a roof over his kids’ heads. Everyone in Creed is fighting the clock, most of them for their very lives. “You know, if you look hard enough, you can see your whole life from up here,” Rocky tells Adonis when they reach the top of the Art Museum steps. How’s it look? “Not bad at all,” they agree. And it’s not just because Creed went the distance with the world champion or because Balboa’s cancer treatments are giving him back his strength and dignity. Rather, it’s because they’ve both decided to live for something greater than the memory of what came before. Donnie no longer feels like a mistake, a false Creed. Rocky is finally able to see a worthwhile future and a reason not to give up on himself. At its core, Creed is a successful (some, including me, would argue the most successful) Rocky film because it synthesizes thirty years of the franchise’s legacy while returning it to its simplest, most concise premise: lonely people are looking for a voice. Frustrated people are stuck in ruts and need to break free. We all have the right to define our own paths and do the most good we can with the time we’re given. We all deserve to fly. I love this. Creed has very quickly become a really important movie to me, and this speaks a lot to why. Thank you for this, Rob. This piece is just as motivational and inspirational as the movies themselves. Well done, and thanks. Great article! Serious question since you are a local - Do people call everything "john" like Tessa Thompson does in Creed? Yup, "jawn" is a real thing, usually referring to a person or object. Thompson pronounces it more like a New Yorker ("j-y-aw-n) than someone from Philly (j-ah-n), but she's close enough. So then you'd give Creed a Mark Jawn? Great article Rob! I loved Creed way more than I expected to when I saw it. There are so many great moments. The one that gets me every time is right before the final round of the fight, and rocky tells him "because you're a creed and I love you." Then he stands up and the classic rocky theme hits. Man, goosebumps every time.